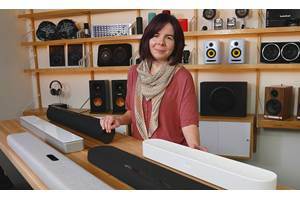 Dolly, a Crutchfield advisor, listens to a sound bar demo at Crutchfield, and picks out her favorite one: the Definitive Technology Mythos SSA-50 5-channel home theater sound bar. 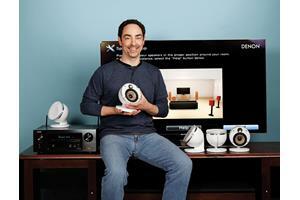 Dolly: Hey, this is Dolly here at Crutchfield and I'm talking to you guys today about sound bars and demos. We actually get to do a lot of our own demos here at the facility. We actually have a sound bar demo set up here where we can listen to different ones side by side and on and off back and forth. And it really gives us a chance to tell the difference between the two and then kind of tell what we like personally. 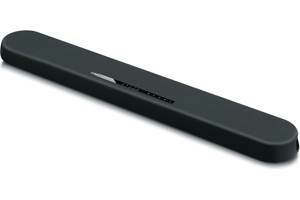 So I took a look at a few different models, and I really liked this Definitive  the Mythos sound bar. 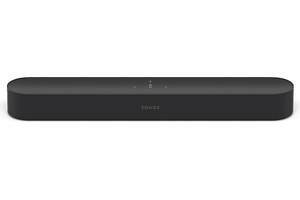 If you're living in an apartment or a house where you don't want to have to worry about wiring a traditional five speaker system, this is the answer  huge room filling sound for just one sound bar. It really sounded like you were getting a full five speaker system with just one piece. It's wall mountable. It comes with its own bracket and will mount perfectly sized underneath any of our 50" televisions or anything above that as well. You hook it up to a receiver. 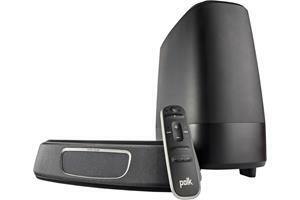 There's no worries about whether your TV will have the right connection to connect into it 'cause you'll have a ton with the home receiver. And then it's got a subwoofer that you can add as an option. So you get the full sound from home theater with just a few pieces, which is great. 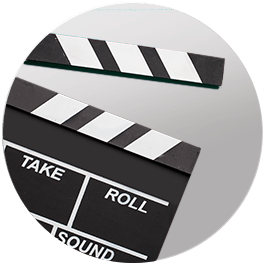 For me, I want to be able to feel like I'm watching a movie at the movie theater and getting the full sound and that's really what it did. That's how much sound you get from it. It's wide and open and really fills the whole space and that's what I want. When I'm at home watching a movie I want to feel like I'm at the movie theater. 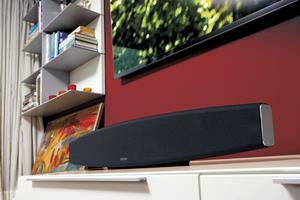 If you have any questions about sound bars or anything else here at Crutchfield please feel free to give us a call. 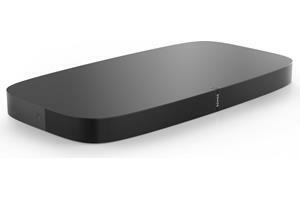 I am looking for a wireless TV speaker, such as a sound bar that is fairly inexpensive. I would like to mount it back from the TV in the listening area. Would I need two , one for each side of the room? Don, we sent your question to our sales team for the best answer. They'll be contacting you via email soon. For immediate help, you can contact them via phone or chat. Is there a Definitive Technology sound bar that is connected to a oled tv via an optical cable and no other cable is necessary?